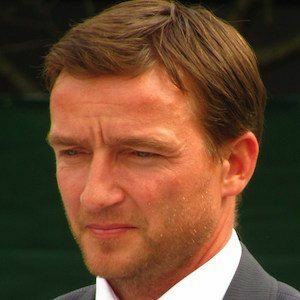 Attacking midfielder who played for four senior clubs from 1992 to 2009, both debuting and ending his career with Slavia Prague. He played in two youth systems growing up: Kovostroj Decin from 1985 to 1987 and Slavia Prague from 1987 to 1992. He played for Czechoslovakia's national team in 1993 before the country dissolved, and then he played for the Czech Republic's team from 1994-2005. He married Pavlina Vizkova, and has two children with her. He became just the second player - following Jurgen Klinsmann - to score in three different UEFA European Championships.